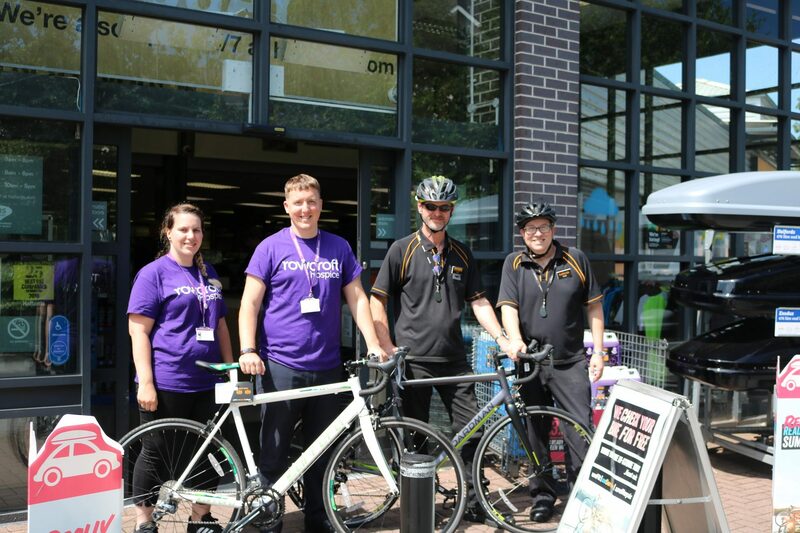 Local Halfords stores in Torquay and Newton Abbot have announced the launch of a new partnership with Rowcroft Hospice’s, Ride for Rowcroft fundraising event by offering all participants free bike checks and 10% off parts and servicing. On Sunday 14 October, the cycle challenge will be returning to the picturesque surroundings of South Devon, with a new and more challenging 32km, up-hill course, the ‘Haytor Hillclimb’. All participants are encouraged to collect sponsorship to help support the ongoing care Rowcroft Hospice provides for people living with life-limiting illnesses in South Devon. Now in its third annual year, Ride for Rowcroft is proving to be one of the hospice’s most popular fundraising events. The previous two events have helped raise more than £100,000 for the hospice and organisers are hoping this year’s event will be the most successful yet. By signing up to the challenge, you are helping Rowcroft support people in the local community like Dean Elson’s family, Dean’s mother was cared for at the Rowcroft Inpatient Unit in Torquay. “It was there that she spent the last few weeks of her life under the care of the loving nurses who did everything they could to make her comfortable, and to be there for my Dad and the rest of the family. We couldn’t pick out individuals to praise as everyone did their bit to make Mum’s last days as good as they possible could. Ride for Rowcroft is a fantastic event for all the family. Any event supporting our wonderful hospice means so much to the families who use the hospice, and become dependent on the wonderful services and amazing staff”. To sign up today visit www.rideforrowcroft.org.uk, minimum sign up age is 12 years of age.